The producers may be disproportionately Jewish, but not the actors. “Russian Jews” are blamed for Bolshevism, but you already knew that. Clare, I agree that semitism — pro- and anti- — is at play here in that (Jewish) Hollywood is diametrically opposed to the values of what you call “organic conservatism,” that pitch blende of white, Anglo-Protestantism that defines the ur-American base. In referring to Harvey Weinstein as the “carnal Jew,” you are harkening back to the evil and mysterious, rootless “other” that menacingly roamed the rocky country roads and back alleys of medieval European cities and hamlets. Symbolically, sub-consciously, this is all true. In the back of our minds, greedy, conniving, hand-wringing Jews are corrupting the spiritual soul of the productive, idealistic and pure Christian. If you want to play the game of fame and fortune in the Jewish enterprise, you have to surrender your purity, debase yourself, and sacrifice your integrity to ogres. Or so it goes, if you are caught up in that way of thinking and identification. It is a narrative that conservatives and Jews alike fear is true. It’s a Hobson’s Choice; live in a world of either Aryan-Nazi purity or Jewish-Communist filth. Take your pick. But I don’t see it that way. Jewish *guilt* for on-going corrupt behavior in traditional Jewish enterprises manifests culturally in a more aggressive progressive *socialism* as a type of purification ritual. “I will make amends by creating a better world.” It doesn’t matter if that quest for a “better world” uses the same corrupt and unfair tactics Jews use to protect their empires. Destroying the good because it is good protects the bad. So, define the good as bad and the bad thrives. “White guilt” is not a real thing. It was manufactured by Jewish intellectuals to extend their own sense of guilt into other populations. The organic conservative counterpart of Jewish guilt is *salvation*, the notion that personal effort at seeking integrity allows one to rise above sin. Whereas Jewish corruption is constant and on-going, white Christians don’t feel real sense of guilt or shame over slavey and colonialism because, historically, they were simply tools for getting resources and being efficient and productive. Since, in Christianity, seeking salvation is the goal, the sins of the father do not pass to the son; each individual is responsible for his own choices. 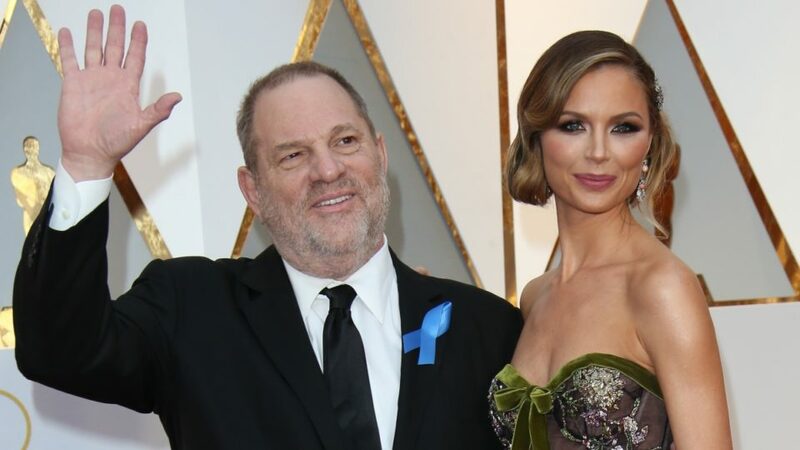 Harvey Weinstein was an ethical beast, who used women — especially talented, non-Jewish, white European women — as his personal toys and expiated his own guilt by raising money for progressive causes while at the same minimizing his crimes of passion by tearing down sexual morals and the traditional ideas of family in his films. Even by Jewish standards, this is unacceptable behavior. And yet it persisted in plain sight — and in silence — for decades while the amoralism of the left tore a hole through the American heart. I hold no animosity for any person of faith, Jewish, Christian, or other. I regard people by their kindness and integrity. I only want to see monsters like Harvey Weinstein exposed and the empires they have erected reduced to rubble. Clare Spark – I’m going to have to call this as utter nonsense – bordering on lunacy. There’s no business or place more Jewish than Hollywood. The ethos of Hollywood is Jewish the way that the NYPD was Irish (per Tom Wolfe’s description in Bonfire, about how even the Black cops were harps). I lived in Hollywood and worked in the movie business – first for the most powerful agent in Hollywood – a Jew – whose agency was more than 50% Jewish. Then in development at a movie studio, then as a screenwriter at a different movie studio. Brando, Clift, Dean and even Marilyn Monroe are Jewish by proxy. Dustin Hoffman paired with the goy of the year (Jon Voigt, Steve McQueen, Robert Redford, Tom Cruise); the “Italian” actor with a Jewish mother portraying the angelic Jewish boy genius Thalberg. – and who are the cabal of people who want to attack the “carnal Jew”? https://clarespark.com/2013/12/07/ben-hecht-v-ben-urwand-the-un-jewish-left-and-assimilated-jews/. Are you saying with Urwand that the businessmen of “Hollywood” are as evil as Nazis? Note that there was no response to my challenge.